Gresham Hall at Gresham Hall Estate in Gresham, near Sheringham, Norfolk sleeps 10 people. Gresham Hall Estate near Sheringham is simply breath-taking and guests choosing to book one of the apartments in the wing or even Gresham Hall will not be disappointed! 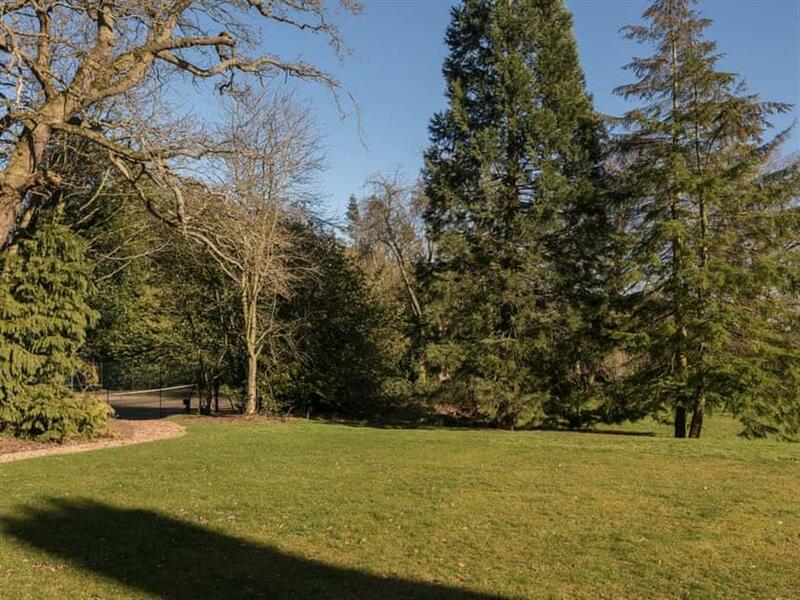 As you make your way down the impressive, winding, private driveway which leads to Gresham Hall, you will feel the weight of the world leave your shoulders. Set within the beautiful country estate of over 1,000 acres, whether you choose to stay at one of the apartments, or book the hall and become Lord of the Manor for the duration of your holiday, you are sure to be delighted by your tastefully presented and stylish accommodation. For guests staying at Gresham Hall (ref UK10641), there is a bedroom and a shower room across the hallway on the ground floor for less mobile guests. Gresham Hall was built by Colonel Batt (hence the bat over the front door), between October 1907 and April 1908 using wooden scaffolding, labour and materials from the Gresham Estate, and the bricks were baked in a local kiln. Colonel Batt was very innovative, and after the war, he generated his own electricity which served the property for many years, now having been replaced by a more eco-friendly pellet boiler to provide lots of hot water and cosy heating. The present owner bought the property in the 1980s and the family grew up there, enjoying the beautiful estate to the full. The current renovations give the properties (refs UK10641, UK10638 [Apartment 1], UK10639 [Apartment 2], UK10640 [Apartment 3]) their contemporary feel and all the modern conveniences required by discerning guests for a lovely holiday. If you can tear yourself away from your sumptuous surroundings, you will find yourself within a designated Area of Outstanding Natural Beauty, and also within the heart of the beautiful north Norfolk coastline. The lovely market towns of Sheringham and Holt are just minutes away with their wide beaches and lots of great places to eat, drink and shop. Cromer, with its famous pier, is also close by. In fact, head east or west from here and explore lots of pretty seaside towns and villages, each offering unique coastal habitats including sandy or shingle beaches, marshes and quays. Those visiting Norfolk for the first time should also visit the Norfolk Broads, not least of all because Wroxham, considered by many as the ’Gateway to the Norfolk Broads’, is under 40 minutes away. History buffs will enjoy the Blickling Estate, Holkham Hall, the Muckleburgh Military Collection, Thursford Steam Collection and a host of other attractions too including Cromer Zoo, Langham Glass and the Sheringham-Holt Steam Railway. And of course there are cycle routes, walks and wildlife opportunities galore, all waiting for you to explore. Then return each evening to the Gresham Estate for a good night’s sleep and to dream of adventures yet to come. There is a beach 3 miles from Gresham Hall Estate near Sheringham. With the shop, pub and restaurant all 2 miles from Gresham Hall Estate. Entrance hall at Gresham Hall: With wood burner. Living room: With open fire, 50’’ Freeview TV and DVD player. Kitchen/dining room: With breakfast area, oil-fired Aga, microwave, fridge, freezer, dishwasher and washer/dryer. Bedroom 1: With zip and link super king-size bed (can be twin beds on request), Freeview TV and French doors leading to garden. Bedroom 2: With zip and link super king-size bed (can be twin beds on request), Freeview TV and en-suite with shower over bath, toilet and heated towel rail. Bedroom 3: With zip and link super king-size bed (can be twin beds on request), Freeview TV and en-suite with shower cubicle, toilet and heated towel rail. Bedroom 4: With king-size bed, Freeview TV and en-suite with slipper bath, shower cubicle and toilet (also accessed from landing). Bedroom 5: With four poster super king-size bed, Freeview TV and en-suite with shower cubicle, toilet and heated towel rail. Biomass central heating, oil, electricity, bed linen, towels and Wi-Fi included. Initial fuel for open fire and wood burner included. Travel cot and highchair available on request. Welcome pack. Lawned garden with sitting-out area, garden furniture and barbecue. Extensive landscaped grounds (shared with other properties on-site). Tennis court (shared with other properties on-site). Private parking for 5 cars. No smoking. Holidays at Gresham Hall, Gresham Hall Estate run from Saturday to Saturday. Pets allowed at Gresham Hall Estate - Gresham Hall. For a better idea of where Gresham Hall Estate - Gresham Hall is, you can see Gresham Hall Estate - Gresham Hall on the map below. Gresham Hall Estate - Gresham Hall is in Norfolk; should you be on the lookout for a special offer, you can find all the special offers in Norfolk. It's always worth checking to see what is on offer at the moment. 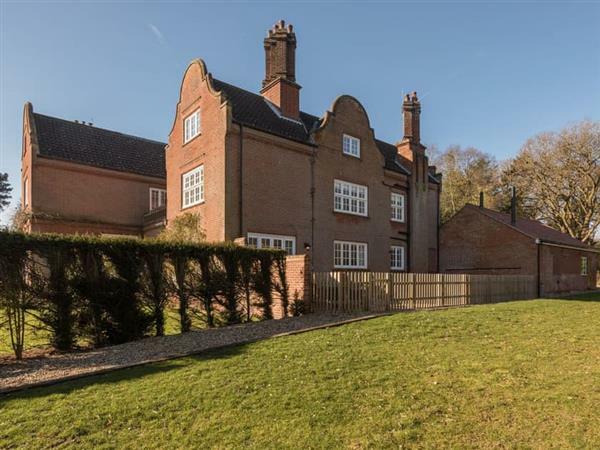 Do you want to holiday near Gresham Hall Estate - Gresham Hall (UK10641), you can see other cottages within 25 miles of Gresham Hall Estate - Gresham Hall; have a look to find your perfect holiday location.